The word “atopic” means there is a tendency for excess inflammation in the skin and linings of the nose and lungs. This often runs in families with allergies such as hay fever and asthma, sensitive skin, or a history of atopic dermatitis. Although most people with atopic dermatitis have family members with similar problems, 20% of them are the only ones in their family with the condition. The disease can occur at any age but is most common in infants to young adults. 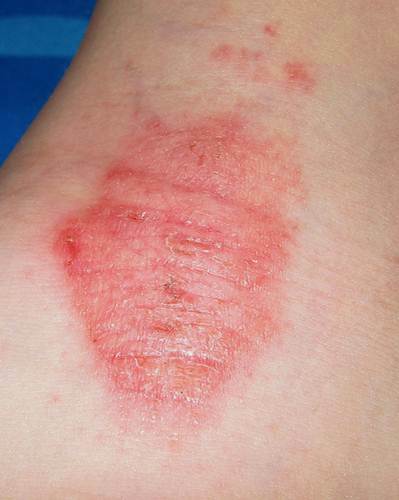 The skin rash is very itchy and can be widespread, or limited to a few areas. Your dermatologist can prescribe external medications such as steroids and newer immune modifying creams. Internal medications such as antihistamines can help with the itch. Oral antibiotics may be prescribed if there is a secondary infection. There are several newer types of medications that may be helpful for patients when standard treatment doesn’t work. It has been 40 years since a new class of topical medications specifically for this disease has been introduced. However, a new class of drugs called topical immunomodulators (TIMs) is now available. Atopic dermatitis is a very common condition. With proper treatment, the disease can be controlled in the majority of people. The National Eczema Association for Science and Education works to improve the health of people living with eczema. You can visit their website at www.nationaleczema.org. The National Eczema Society is a worldwide organization dedicated to the needs of people with eczema, dermatitis, and sensitive skin. You can visit their website at www.eczema.org.